Decorating your home, but sick of the ugly mismatched chests littering the place? 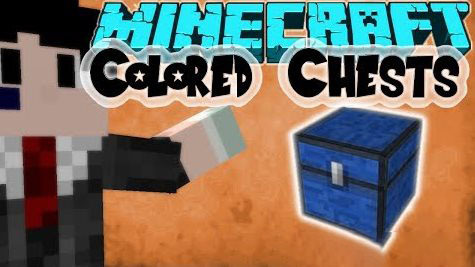 Then give them a splash of color with the Colored Chests mod! 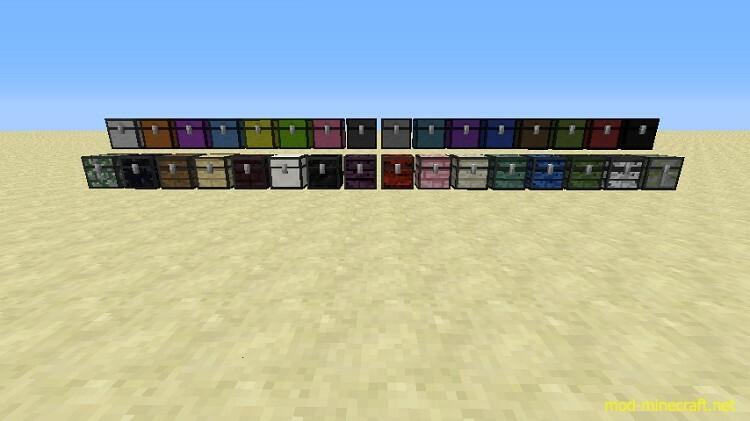 This mod is incredibly simple, but allows you to dye chests using any of the dye colors Minecraft offers. Dying a chest is simple, and can be done at any stage. Crafting a chest and want it to be red? Create a chest like normal but toss a piece of red dye in the middle. Already have a chest and want to make it green? Just toss it anywhere in the crafting grid along with that beautiful green dye. Have a brown chest but want it to be blue? Just toss it in a crafting grid with a piece of blue dye. Finally, want to get a normal vanilla chest back? Simply put any colored chest in the crafting grid and receive a vanilla one in return! This mod is for 1.6.X (1.6.0 ? 1.6.4); grab the files using one of the download links above! I will only be supporting the most current version of Minecraft so please do not ask about updates for 1.5.2. This is a Forge mod for Minecraft version 1.6.X. Make sure you are using the latest version of Forge for 1.6.X and put the jar file in your mods folder.